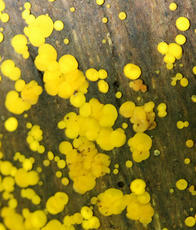 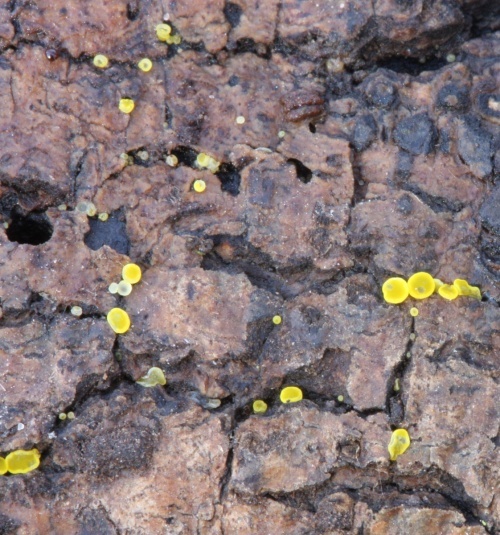 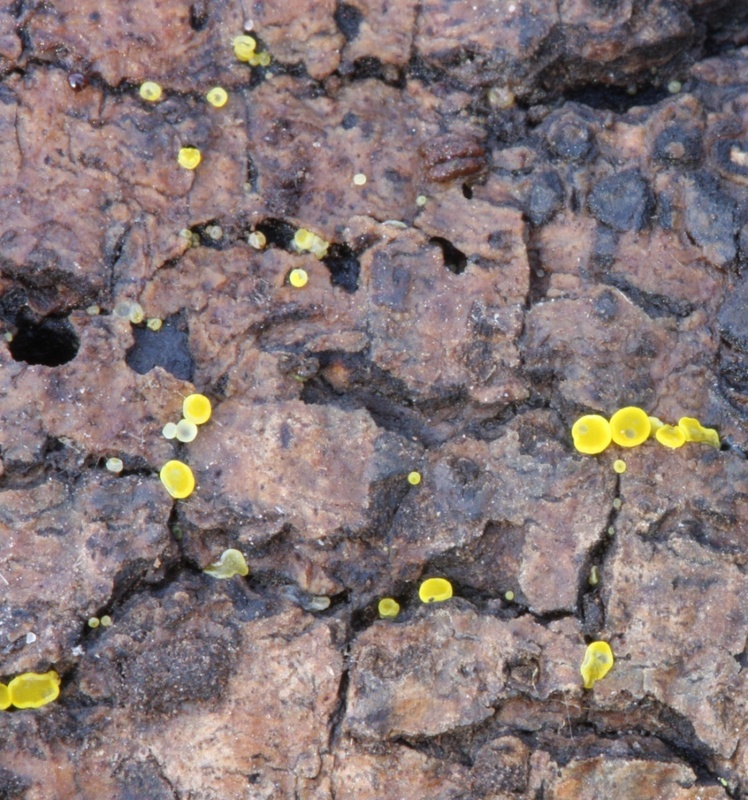 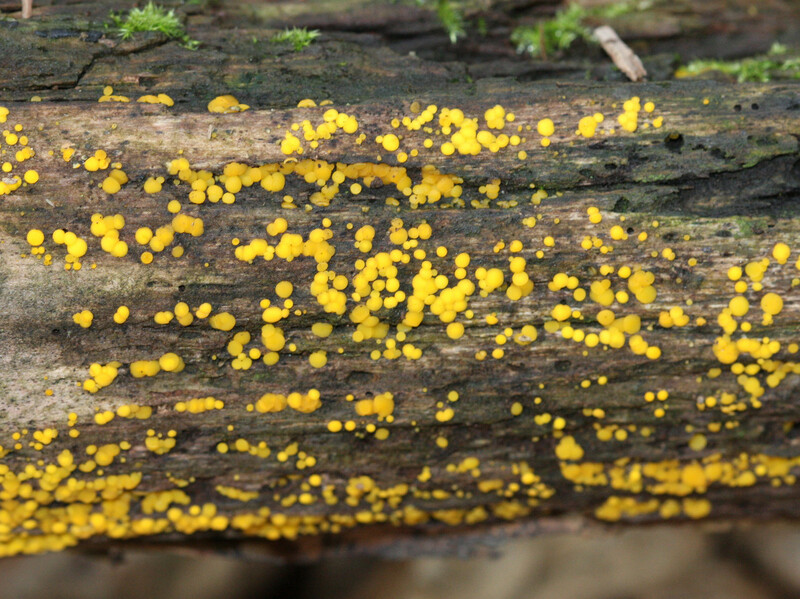 A very small (up to 3 mm across), bright lemon yellow saucer-shaped fungus. 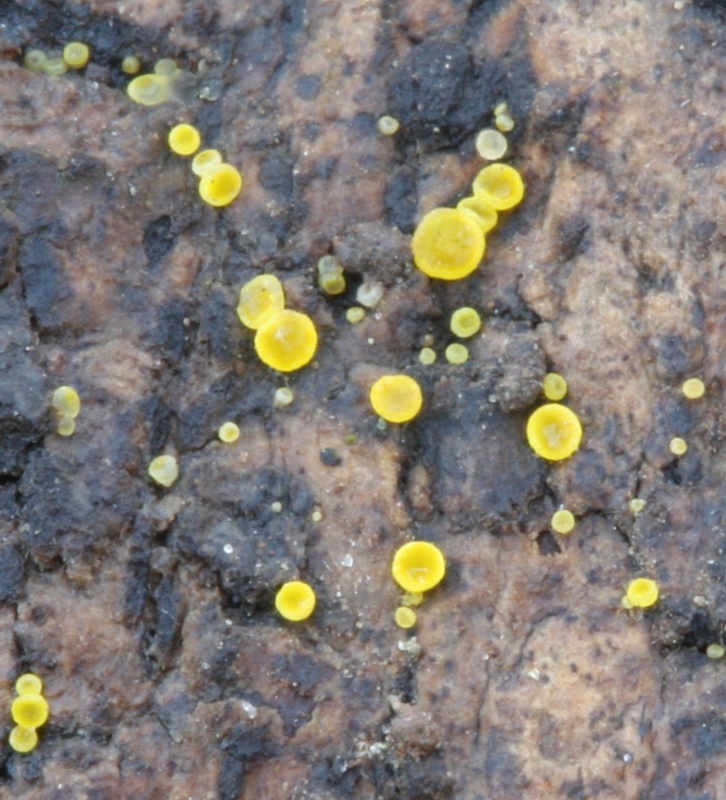 The surface is smooth and the disc tapers into a small base or occasionally with a very short stalk. 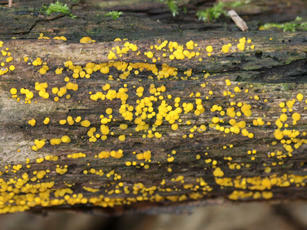 On the dead wood of deciduous trees, often in woodland.